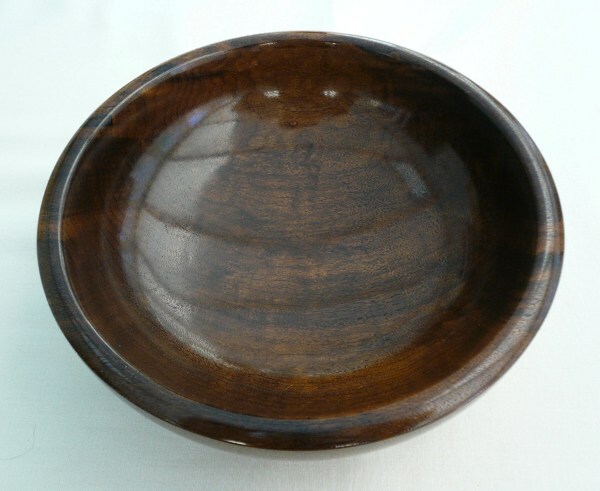 Color/Appearance: Heartwood color can vary substantially; typically medium to dark brown, sometimes with a reddish, golden, or olive-colored cast. Light grayish yellow sapwood is usually differentiated from the heartwood. 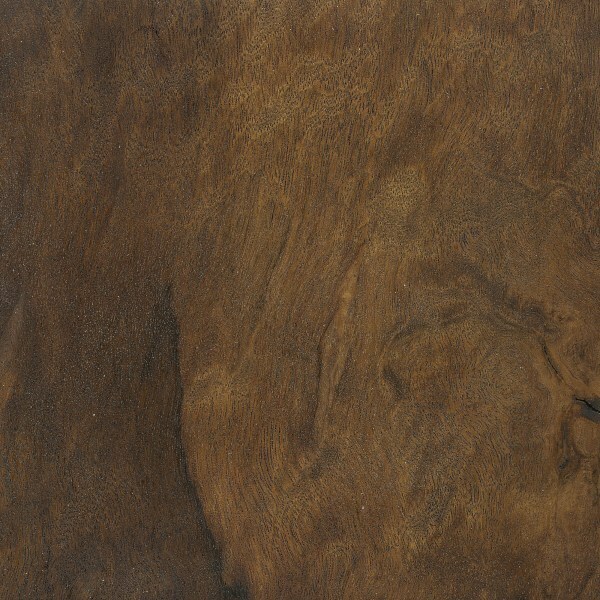 Burls and wildly figured boards are commonly seen. 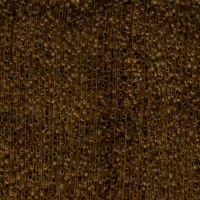 Grain/Texture: Grain is straight, though many boards can exhibit wild or burl-like patterning. 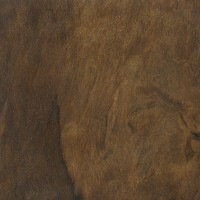 Medium to fine uniform texture with good natural luster. Endgrain: Diffuse-porous; solitary and radial multiples; large pores in no specific arrangement, moderately numerous; tyloses common; parenchyma vasicentric; narrow rays, spacing normal. 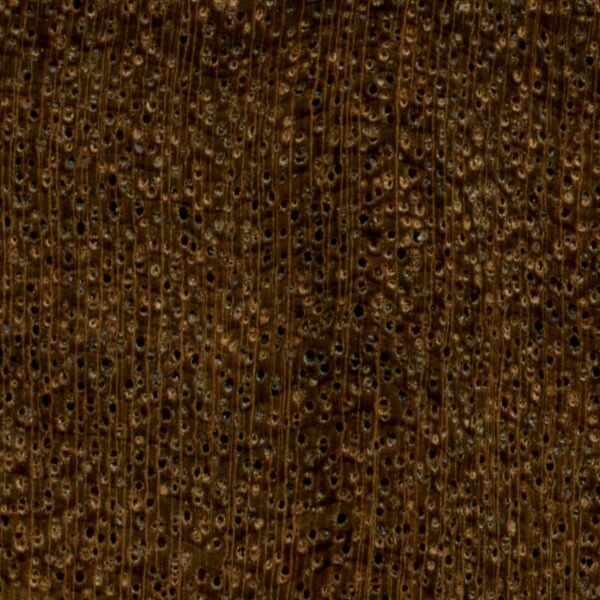 Rot Resistance: Rated as durable; also moderately resistant to insect attacks. Good weathering characteristics. Workability: Produces good results with both hand and machine tools. However, pieces with wild or irregular grain may present challenges in surfacing and other machining operations. Turns, glues, and finishes well. Pricing/Availability: Usually available as lumber in good sizes, as well as turning or instrument blanks. Plain, unfigured lumber should be moderately priced for an imported hardwood, though figured pieces may be considerably more expensive. Common Uses: Furniture, cabinetry, flooring, veneer, boatbuilding, gunstocks, and turned objects. 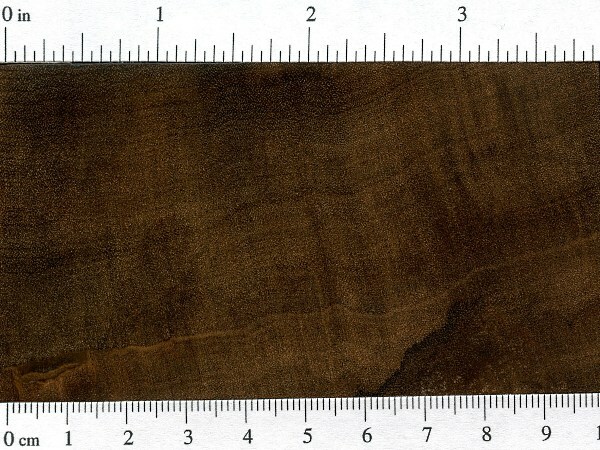 Comments: Sometimes called “Brazilian Walnut,” Imbuia bears little botanical relation to true walnuts in the Juglans genus. 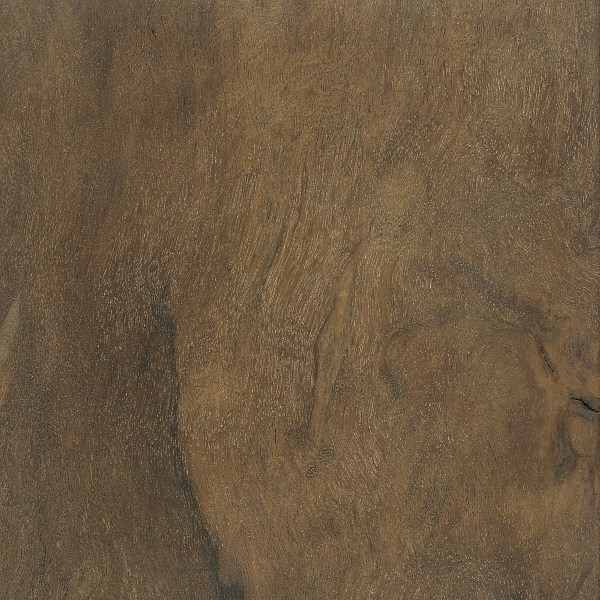 However, even though Imbuia isn’t a true walnut, it still possesses deep, rich colors and interesting grain patterns that rival the classic cabinet hardwood. I made one piece of furniture from this 30 years ago but didn’t really like the irregularity of the grain. I now have a few offcuts which I just cut from time to time just to smell it! the aroma of this wood is the most beautiful of any I’ve ever worked with. about health issues. Any input ? I’ve already seen some bird call whistles made of Imbuia wood in Brazil. By the way, luthiers in Brazil used to make flutes with this wood, but now is illegal to cut this wood. This is a common misconception among some: that a wood is “thirsty” and somehow needs to be “fed” from time to time. 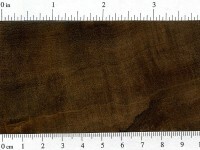 Wood reaches an equilibrium with the surrounding air in terms of the level of moisture that’s contained in the wood, and it doesn’t subsequently over dry or “dry out” at any point. If the actual finish on the wood (not the wood itself) is scratched or deteriorated, it might be necessary to reapply or refinish the wood, but that isn’t needed all that often.